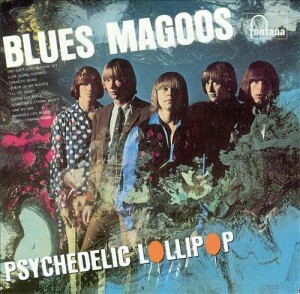 The Blues Magoos were one of the bands at the forefront of the psychedelic scene. They formed in 1964 under the name the Trenchcoats. 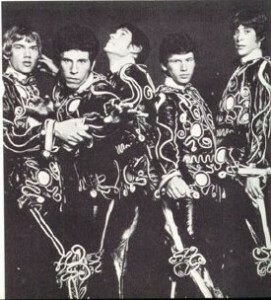 Original members were Emil “Peppy” Thielhelm aka “Peppy” Castro (vocals, guitar), Dennis LePore (guitar), Ralph Scala (organ, vocals), Ron Gilbert (bass) and Jon Finnegan (drums). The Blues Magoos established themselves playing various clubs in Greenwich Village. 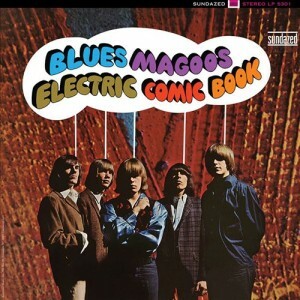 It was in 1966 that the band changed their name to the Blues Magoos. It was also at this time that they made a couple of lineup changes – Mike Esposito on lead guitar and Geoff Daking on drums. The band released their first single on Verve Records, “So I’m Wrong and You Are Right”. It didn’t garner much interest, however Mercury Records signed them to a contract later that year. The release of their debut album, Psychedelic Lollipop, was one of the first records to use the word “Psychedelic” on the sleeve. The Blues Magoos’ tour of the U.S. in 1967 had them as an opening act, along with the Who, for the headliner, Herman’s Hermits. They would release their biggest hit “(We Ain’t Got) Nothin’ Yet” in 1967, the opening song from their debut album. The song went to #5 on the American charts, and was used for the 1968 movie Easy Rider. The next single they released was “There’s A Chance We Can Make It”, which was only a minor hit. The B-side, “Pipe Dream”, would actually chart higher, but even it did not break the Top 40. Neither of the next two albums were very successful, so, feeling discouraged, the Blues Magoos split up. Management had something to say about the band’s decision to split up. They were signed to ABC Records, but most members did not follow through with the plan to keep going. Castro was the only one to agree, so he rebuilt the band. New members included Eric Kaz, Richie Dickon, John Leillo, and Roger Eaton. The rest of the original band moved to the west coast and started different projects. 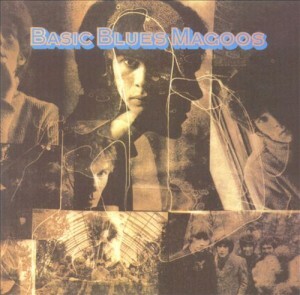 In 2012, The Blues Magoos released a new album after 41 of relative inactivity.